Despite speculation suggesting otherwise, Chelsea striker Diego Costa is reportedly ‘100 per cent’ staying at Stamford Bridge next season. Antonio Conte will arrive to begin work next week, and various changes are expected to his squad ahead of his first campaign in charge. 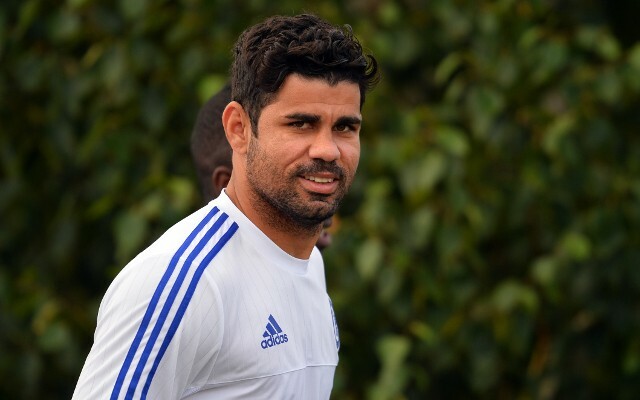 It was believed that Costa could be one of the high-profile individuals on his way out of the club, but according to The Telegraph, the Spanish international isn’t going anywhere. In complete contrast, he will form an important part of Conte’s revolution at Chelsea, with Alvaro Morata or Graziano Pelle being lined up as further reinforcements, notes the British newspaper. The interest in bolstering the attacking options at Stamford Bridge comes despite the fact that the Premier League outfit confirmed the signing of Michy Batshuayi on Sunday. The Belgian international is Conte’s first summer signings, and will look to continue to develop his game after impressing for Marseille. Meanwhile, Costa struggled under Jose Mourinho last season, but appeared re-energised after the appointment of interim boss Guus Hiddink, and enjoyed a much-improved second half to the campaign. Further, he’s said to be looking forward to working under Conte and is ready to form an important part of his plans moving forward, as noted by The Telegraph. It promises to be a busy few weeks for the Italy boss, who saw his side crash out of Euro 2016 on Saturday night after a heartbreaking penalty-shootout defeat to Germany in Bordeaux. While he will now be afforded a few days off, he is likely to arrive at Chelsea sooner rather than later to begin pre-season preparations, and in turn that will also lead to further developments in the transfer market as Costa is seemingly set to stay in west London for the foreseeable future.